The fortunes of turtle doves across magical Martin Down in Hampshire are being boosted by a group of farmers working together for wildlife. Sarah Warrener, a Lead Adviser for Natural England, tells us about the benefits of this collaborative approach and how it is benefitting wildlife around the special area of Martin Down in Hampshire. 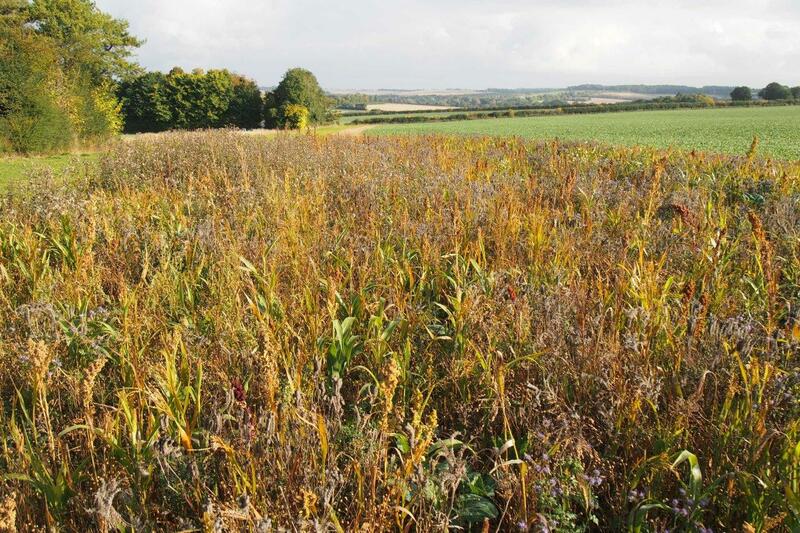 With support and funding from Natural England, the Game & Wildlife Conservation Trust launched a pilot group of five farmer clusters in early 2012. The Farmer Clusters approach, along with lessons learned from the Nature Improvement Areas programme, has helped inform an integrated landscape scale initiative to develop a component of England's Rural Development Programme with the Countryside Stewardship Facilitation Fund. This allows groups of farmers, foresters and other land managers to develop a shared ambition, informed by evidence-based priorities, increasing their skill and knowledge to farm for the benefit of people and wildlife. The funding pays for a facilitator who provides support and training. It also incentivises uptake of Countryside Stewardship agreements that fund these improvements on group members land. For further detail of the 49 established groups and details of how this approach is addressing issues such as Natural Flood management click on this link to the Facilitation Fund. Martin Down Site of Special Scientific Interest (SSSI) is the third largest area of chalk grassland in England. It nestles amidst the rolling farmland and wooded landscape of Cranborne Chase Area of Outstanding Natural Beauty. It is also a National Nature Reserve and is important for plants, insects and birds. Martin Down has a unique aura and seems to engender a special kind of loyalty. This quality is expressed by local landowners who have banded together to create two Farmer Clusters that encompass the site. The objective of the clusters is to manage the surrounding farmed land in a way that benefits some of the species present on Martin Down and provide extra habitats to help them spread out from this reservoir into the wider countryside. The Martin Down and Allenford Farmer Clusters are so keen to find out more about the wildlife on their farms so they are helping pay for an advisor to carry out surveys and report their findings. Armed with detailed information about the types of plants and animals and where they are found on we can manage the land to help wildlife over the long term. Species records will be maintained on a database so they can assess the results of their efforts in years to come. Each of the clusters has their own list of wildlife and habitats they particularly want to target, but they work together to ensure that their efforts are complementary. They are incorporating habitats such as flower-rich grass strips for bees and butterflies; growing patches of seed-bearing plants for winter food for birds such as corn buntings, making sure there are good nesting areas and maintaining fallow areas to attract birds like lapwing. The turtle dove is one of the species that is benefitting from the farmers’ efforts. These birds spend winter in southern Africa and return to Britain to breed but they are one of the British bird species that is experiencing the steepest decline. Martin Down supports a small breeding population. 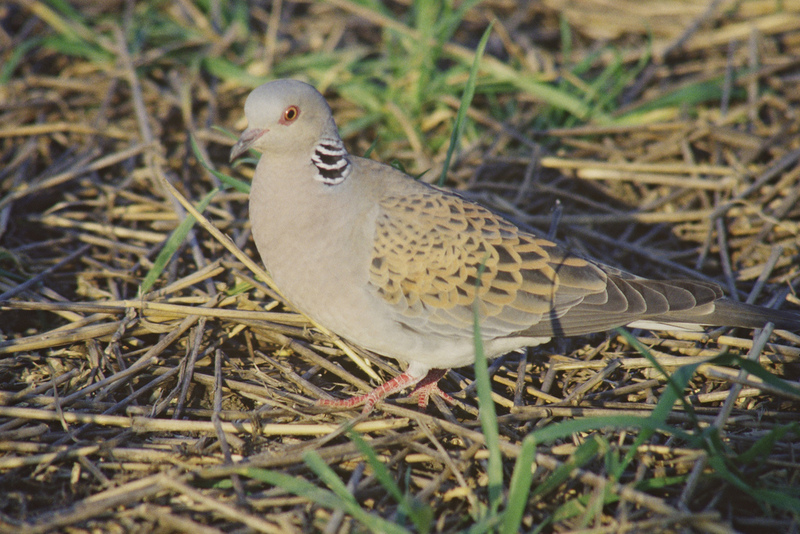 The cluster farmers help turtle doves by providing essential seed food in time for their arrival in spring and creating ideal breeding and foraging habitats for them once they have recovered from their long journey north. 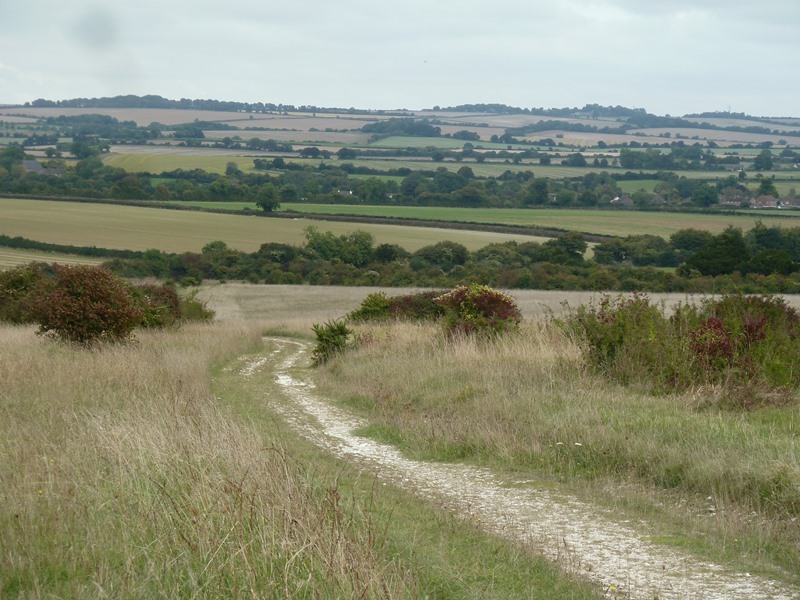 Another of the innovations that the cluster members are considering is to link Martin Down up with other chalk grassland habitats nearby in order to allow less mobile species to spread out. By creating simple grass links, plants and insects will be able to creep out, become less isolated and populations will grow more resilient. This is one of the ideas I personally find most exciting and would really like to see happen there. It is thrilling to know that the farms that surround Martin Down are being managed to help protect this wonderful site and its wildlife. This Farmer Cluster initiative has come from the farmers themselves. It is not something I have instigated. However it is a pleasure and an honour for me to be able to work with a group of such committed individuals for the benefit of wildlife. What a lovely piece on successful conservation by the people that matter most in the countryside, the farmers. Two turtle doves spotted in my garden at Tisbury two days ago, haven't seen any for ages. Well done Martin Down and Allenford Farmers for putting these initiatives into action. Thanks Trudy - we are inspired by the work of these farmer clusters. As Sarah said, it's a priviledge and an honour to work alongside them on projects like these.